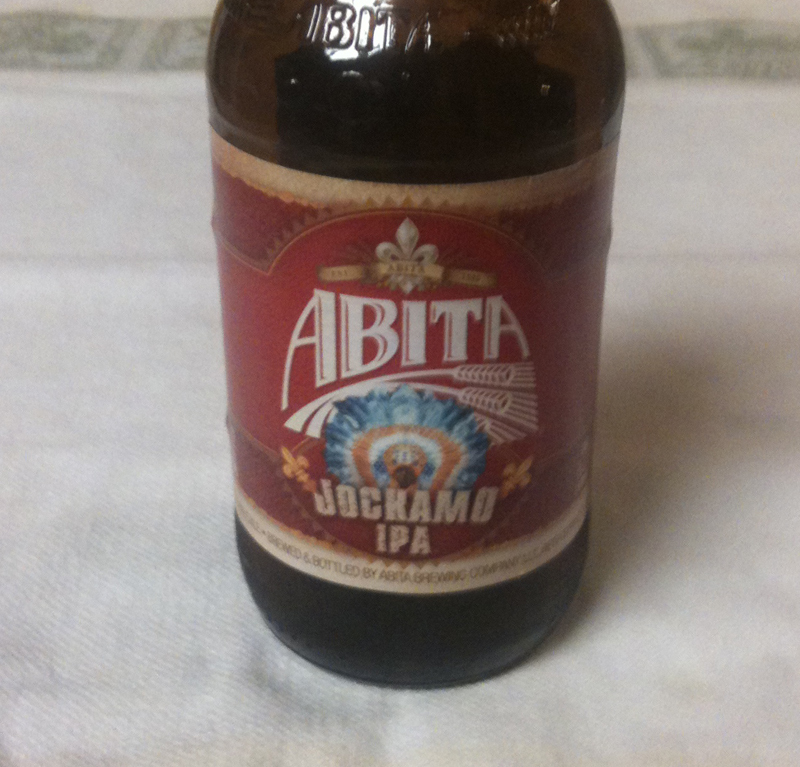 I am finishing off the first week of IPAs with a Jockamo IPA from Abita Brewing Company. IBUs are listed as 52 on the web site. 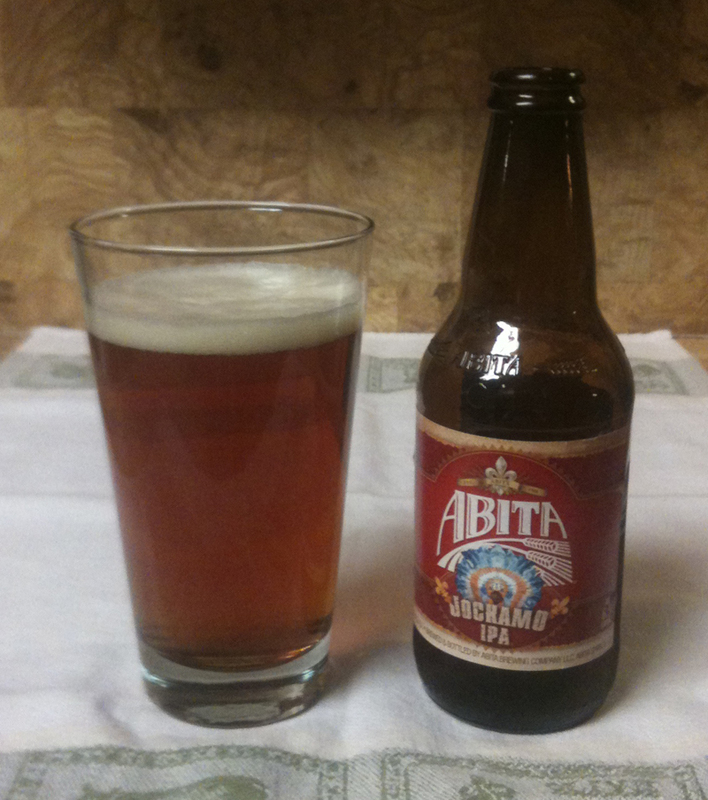 It is 6.5% ABV and comes in a twelve ounce bottle. The Jockamo pours with a nice, fairly thick head. It has a rich honey-like color when held up to the light. The aroma has a floral/vegetal note. To me, this is a light to medium on strength of flavor. Light hoppiness and very little bitterness. The floral/vegetal note from the aroma is also present in the taste - it might also be described as a spice/herbal note. I assume it is from the hops, but I haven't really experienced that particular flavor in other IPAs, nor can I really think of a specific flavor it compares to other than a spice or herb. There is also a bit of sweetness. Very little aftertaste.